Al-Saiqa was a Marxist Muslim Palestinian terror club founded in 1966 by Syrian Ba'athists. Al-Saiqa served as a pan-Arab, pan-Islamic, Syrian-backed movement within the Palestinian Liberation Organization (PLO). Like most Palestinian terrorist organizations, al-Saiqa's goal was to destroy Israel and establish an Arab/Islamic/Communist state in its place. The group was formed by the Syrian regime to counter the rising strength of Yasser Arafat's Fatah. 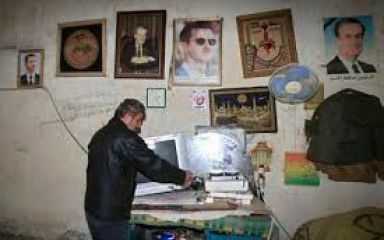 Al-Saiqa was expelled from the PLO in 1976, and is currently used by the Assad regime as a proxy force against the PLO. It was against the Madrid conference and Oslo accords. al Sa'iqa, also known as al-Saiqa, Al-Sa'iqa, Lightning, Storm, Thunderbolt, Vanguard for the Popular Liberation War, As-Sa'iqa is an active group formed c. 1966.